Homepage » Tech » Do more TLDs really give more options? Internet is something which changes every second. We have seen a lot of it in last few months. There was a time when a business having an email ID was considered as a superior one in the field. Then the trend changed to free blogs, websites and it is still going on. There are millions of people making their lives from the internet, there are millions of companies providing online services and there are billions of online web pages to give the information to the readers. All the premium domains which we see today, were booked right when the internet came into the existence for the first time. Most of the times when someone tried to search for a domain name, it is already registered by someone or the other person. However, there is an awesome opportunity for the webmasters who are entering into the online space because there are hundreds of new TLDs in the market launched right before a month or so. The new TLDs have given a lot of option to the webmasters to have their online presence with a bang and a relative domain name. 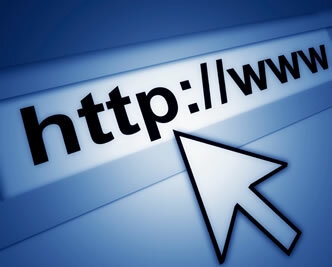 The internet industry has gone past the traditional choice of domain names like .com, .net .org etc. The best thing about the newly launched TLDs is that you get a lot of options like club, reviews, guide, real, photography and a lot more. Now the main question which arises, do more TLDs really give more options? Well, as per the webmasters who have a lot of experience being in this field, more TLDs still have a long way to go until others become familiar with them. A TLD like .real can never get the recognition like .com TLD and that is where the whole problem lies. TLDs like .com and .org have been in existence since over 2 decades now and people are very familiar with them, in that kind of condition, it will take a lot of time for the new TLDs to make a name in the domain name space.